Forever Forest is coming to Switch, Fictive Studio and Mad About Pandas have revealed. The title promises “a unique blend of exploration, survival, action and role-playing, condensed into a simple and intuitive gameplay.” We have more details and a trailer below. Forever Forest is the result of a collaboration between the Qatar-based Fictive Studio and the Berlin-based developer Mad About Pandas, the successor of kunst-stoff. Over the last decade, Mad About Pandas established itself as one of Germany’s most resilient indie-studios and garnered a reputation for producing high-quality, award-winning games, including The Great Jitters: Pudding Panic. Meanwhile, Fictive Studio made headlines by becoming the first game studio and publisher in Qatar. Forever Forest will be the first release from this collaboration. The game draws inspiration from around the world and will be available in Arabic, German, English and multiple other languages – targeting both MENA and Western Markets. It is the firm belief of all parties involved that uniting creative efforts and playing together across borders can shape our mutual respect and understanding. 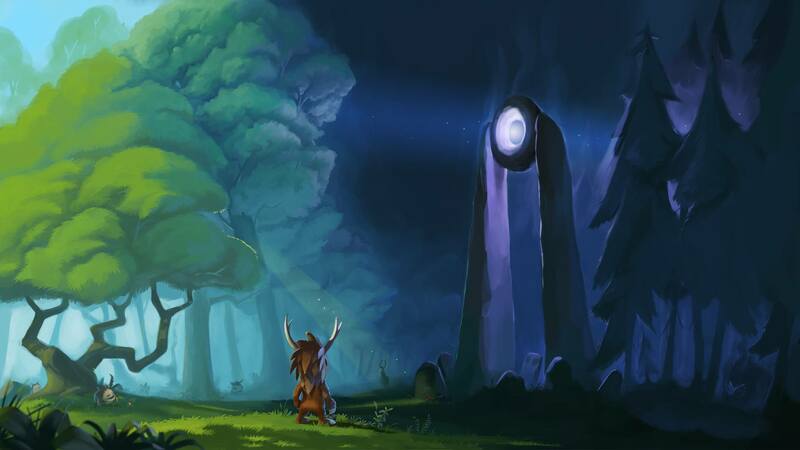 Forever Forest is only the begin of a long journey and lasting friendship, with new projects already being in pre-production. The original goal was to have Forever Forest out sometime in November. That didn’t happen, but it should mean we’ll be seeing it on the eShop sooner rather than later.